Johnny Cage was part of the original roster, and has appeared in all MK games but two as of this writing. He’s a parody of martial arts movie actor Jean-Claude van Damme, but not as funny. Cage is a superior kick-boxer, adept at acrobatics and is very good at handling a sword. He also possesses a small degree of acting skills. Mysteriously he also has superhuman abilities such as being able to jump extremely high and being able to utilize a green energy type for blasting and charging attacks. Johnny Cage used to be a C-list action movie star. It appears Cage had been trained by some sensei from “the Far East”. Cage adapted all his moves to look spectacular and cinematic, fitting his future career as a movie star. At all points Cage wore a pair of dark shades and mixed acrobatics into his fighting style which mainly consisted of different kicking maneuvers. When he heard about the Mortal Kombat Tournament (being contacted by Raiden) he saw a change for fame and success. He participated in the games, survived, defeated many opponent and became famous as his fights were documented. This was the real start for his career as a fighting superstar. He did not participate in the tournament against Shao Kahn’s rule (probably too busy with his career), but later showed up in the tournament against Shinnok more powerful than ever before. Cage is clad in a pair of black leather trousers with blue sides during combat. He also wears a pair of red boots and two blue arm bands on each arm along with the shades he always wears. His upper body is otherwise completely naked. Cage’s body language is very reminiscent of Jean Claude Van Damme’s. Johnny Cage is the typical swashbuckling, Hollywood, fighting movie star. Image is extremely important to him and he always tries to live up to it. He consistently behaves in a typical cool manner which often disturbs both opponents and friends. Cage also realizes the danger of the Mortal Kombat Tournament and thoroughly enjoys fighting for his life knowing that there is a public out there. Seeing as what incredibly powerful opponents he has and which motivations he has Cage really has bravery (fueled by the will to be famous) in abundance. Opponent’s often underestimate him due to his motivations but soon learn that he’s as determined to win as any other Mortal Kombatant. Since this is a vintage article, let’s have a look at some vintage Mortal Kombat Johnny Cage action. In the Marvel Universe Johnny could have adopted his name as a tribute to Luke Cage, much like real-world actor Nicholas Cage did. As a special effect Cage may substitute the APs of Energy Blast as his EV in a hand-to-hand attack. Jumping may be combined with a normal physical attack to increase range and damage. Power Reserve is only usable with Energy Blast and is subject to standard “Mortal Kombat Rules”. The Chosen (High), Media Industry (High). Serious Irrational Attraction to wearing shades and acting cool, Public Identity. Sword [BODY 08, EV 04 (05 w/STR, 09 w/Martial Artist)]. Shades [BODY 01, Shade: 02]. Some character powers are subject to Sorcery Power limitations. This is used for simulating ’Fatalities’ from the games. These powers are normally only used at the end of a combat finishing the opponent with it. Before the fatality takes effect the character has to stand around concentrating a whole round first, during which dodging is not possible at all (OV = 0) ; if any damage is sustained during this round, then concentration is broken and the fatality fails to occur. During all fights a lot of different combat maneuvers are used and HP expenditure is extremely common. 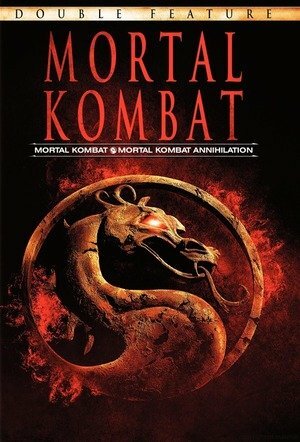 Source of Character: Mortal Kombat (I, II & IV) Games.